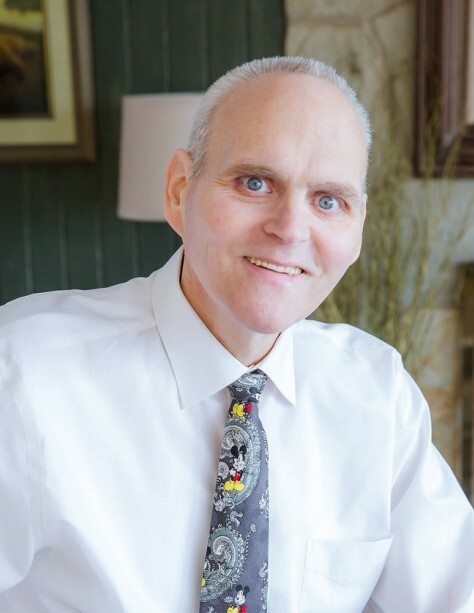 Brian Earl Joy, 58, longtime Ogden resident, passed away peacefully at home after a long illness on Monday, April 8, 2019 of natural causes. Born in Denver, CO, to Ira Dale Joy, Sr. and Kathryn Eileen Heaton, he was raised in Mitchell, NE and bled red for the Huskers. The summer of 1979 after graduating from high school, he relocated to Ogden. Brian served a mission for The Church of Jesus Christ of Latter-day Saints in the Florida Tallahassee Mission from 1979 to 1981. Brian married Renee Elaine Barnett on July 1, 1983 and raised three beautiful children, then later divorced. He met Janis Wilson and they married on December 27, 1995. They have led a truly joyful life. Brian served in the USAF and Utah Air National Guard, being honorably discharged. He earned a Masters degree from University of Phoenix. He enjoyed serving on the Ogden City School Board. His employment with Iomega and then for The Church of Jesus Christ of Latter-day Saints as a Global Distribution Manager afforded him the opportunity to experience many people and cultures in over 69 countries. He loved dutch oven cooking, scouting, the outdoors, and giving away candy. As a Bishop and in all other callings he had a candy bowl, bucket, and drawer that brought smiles to those he served. Brian loved spending time with his family, holding hands with Janis, and reading. He had a keen mind, a quick wit, and a delightful if not somewhat irreverent sense of humor, which he never lost. He will be fondly remembered for his many “joyisms,” and he truly made Janis laugh every day. Brian is survived by his wife, Janis of Ogden; children, Amanda (Matt) Petersen of Ogden, Crista Ellen Joy of Ogden, and Andrew (Whitney) Joy of New York, NY, and, five grandchildren; stepmother, Judith Joy of Ogden; siblings, Eileen (Steve) Bernards of Clinton, Dale (Connie) Joy of Ogden, and Barbara Joy of Ogden; and was very close to his inlaws, Walt (Lola) Wilson and Bruce (Lynette) Wilson. He was preceded in death by his parents. Funeral services will be held on Friday, April 12, 2019 at 2 p.m. at the Foothill Trails Ward, 1000 Suncrest Drive, Ogden. Friends may visit with family on Thursday from 6 to 8 p.m. at Lindquist’s North Ogden Mortuary, 2140 N. Washington Blvd. and Friday from 12:30 to 1:30 p.m. at the church. Interment, Ben Lomond Cemetery, North Ogden.